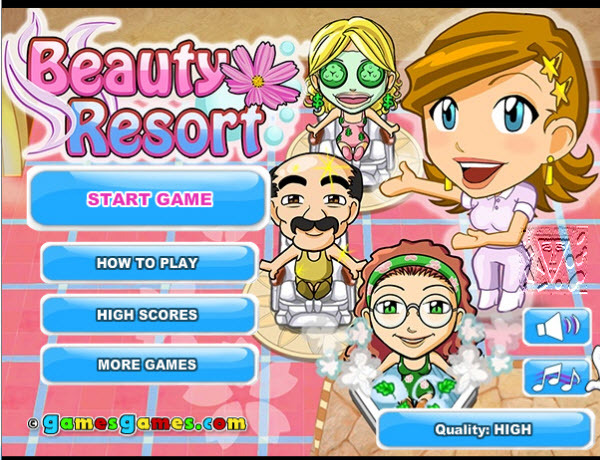 Description: Work your way up from a small spa to a luxury mountain resort in this multitasking time-management game! How to play: Use the mouse to drag-and-drop clients at the desired stations. Fullfill their requests and keep stations clean to serve your clients as quickly as possible and build your spa business. Don't let your clients get too stressed or they'll leave the salon!